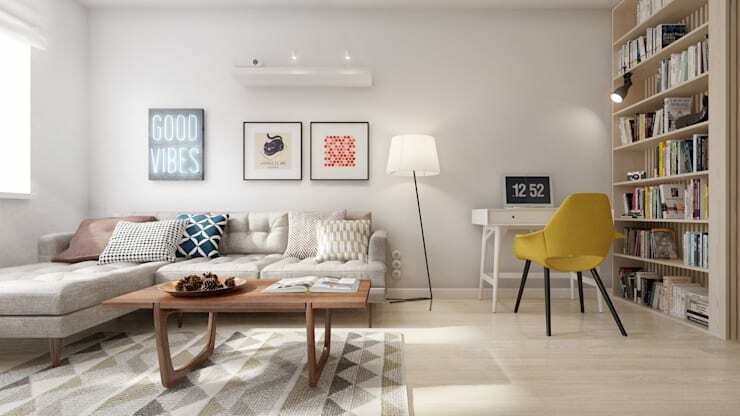 When it comes to the desire to create a fabulously warm, inviting and deeply personalised domestic abode, we often shed most of our attention on the ‘big ticket’ items: furniture, bench tops, room dividers and the like. Sure, the larger components of the interior setup are crucial, and they need to be considered first and foremost before we get ahead of ourselves with all the finer points and smaller details. However, it's worth remembering that those smaller details can, in their own right, influence the style, flair, mood and feel of our interior spaces just a well – in some cases, just as powerfully as some of the larger elements and attributes. In this regard, it’s crucial that we spend a bit of thought on the smaller items, selecting the kinds of features that carry the type of aesthetics we'd want to convey and enjoy. In our age and era of abundance and choice, we’ve got so many different tools, tricks and methods for making our homes beautiful. Decorative items can range from picture frames to curious, objet d’art to fashionable floor rugs, interesting light bulbs to contemporary artwork and beyond. 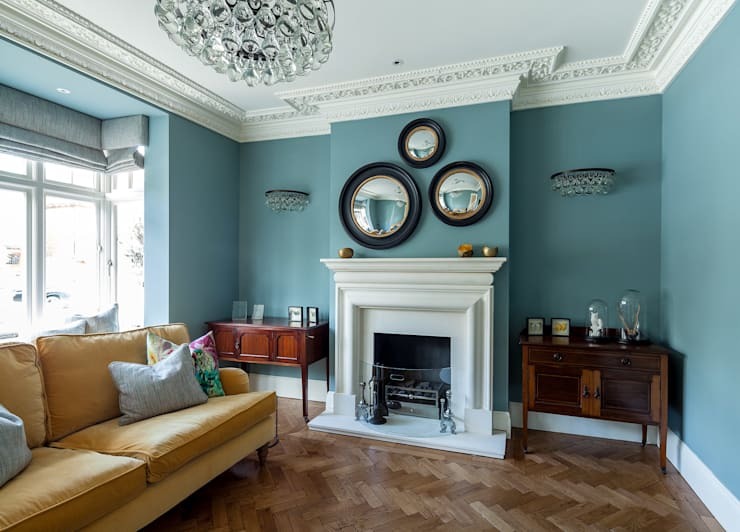 There are so many ways to decorate our homes with the finer details, and today on homify, we’re taking a look at some of the more interesting and useful styles and varieties on offer. Take a wander through, get the creative juices flowing, and consider how you might best decorate your interior spaces to make them inspiring and beautiful. You don’t have to be a bona fide biophile to let in a little taste of the natural world into your domestic interior. 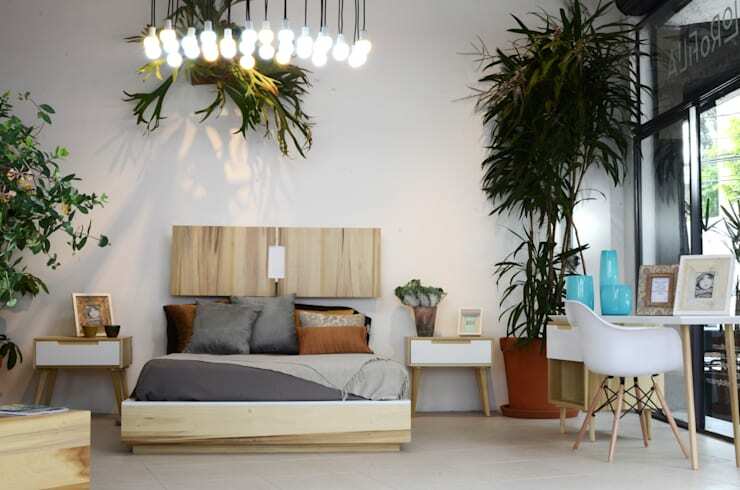 Foliage, plants, flowers planter boxes and pots can be a fantastic way of introducing a sense of lightness and natural joy to your living and bedroom spaces. Yet it’s not enough that interior plants not only look fantastic and give the home a sense of life, but they also work on a practical and physiologically beneficial level, oxygenating the air inside the home and purifying it, while counteracting potentially harmful toxins from house paint and structural materials, such as formaldehyde. With such a great variety of plants available, there’s no end to the choice and selection, with something for every unique space. Thinking about adding a few plants to the interior, but don’t consider yourself much of a ‘green thumb?’ Before getting started, why not have a chatto a professional in the know and get a few wise tips on how to bring in a little taste of the outside world. You may have heard the term 'curio' bandied about in the discourse of interior design: in short, they refer to any small or unusual object that is considered interesting or attractive. It’s a broad term, lending itself to so many different possibilities: from figurines to historical photo frames, maps to knick knacks and child’s toys. 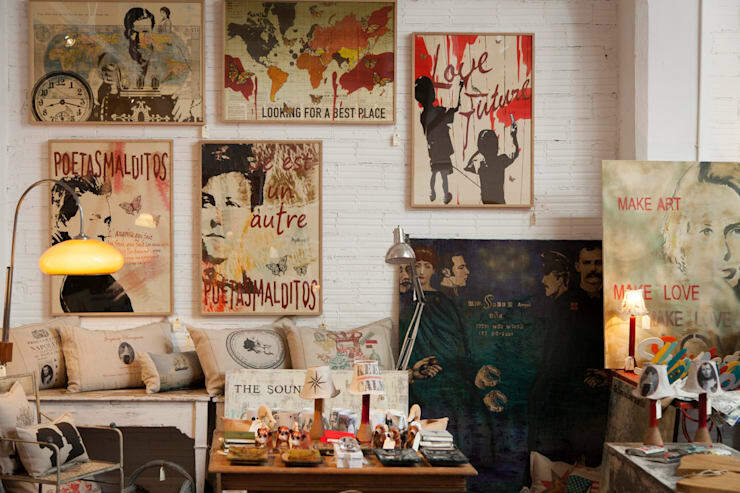 Here, we see a space that is vibrant, eclectic and interesting, warmed by the presence and inclusions of a range of different curios: a contemporary art-inspired wall of picture frames, including the stenciled face of infamous poet Arthur Rimbaud, as well as a range of different bits and pieces on show on the foreground tabletop. Thrift shops and community markets can be a goldmine for interesting curios; you may also consider creating some of your very own for a little DIY flavour! While it’s all well and good to saturate a space with interesting items, sometimes the ‘less is more’ approach can be a just as effective way to go. For spaces that are already thriving with a more minimalist setup, consider introducing just one or two well-selected items instead. 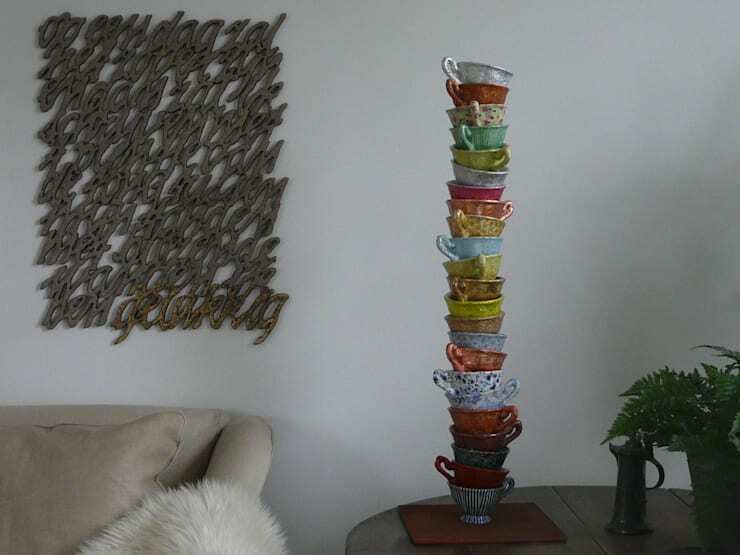 Here, we see how a basic living room setup can thrive with the inclusion of just a couple of decorative items: a brilliant calligraphy-inspired wall installation, next to this impressive and ultra-artistic colourful teacup tower. Lamps! Far more than just a way of illuminating a space and making them more functional, lamps – especially the floor-stand variety – can make a brilliant decorative addition to any living room or lounge space. Here, we see the magic at work: a well-lit, and impressively decorated space that really looks fantastic with the inclusion of this artful, off-kilter, creative lamp stand. Think outside the box, and go with items that bring a little extra personality to your interior space. A lot of what can be deemed ‘successful decoration’ comes down to re-thinking and revamping what would otherwise be considered ‘normal’ household items and furnishings. 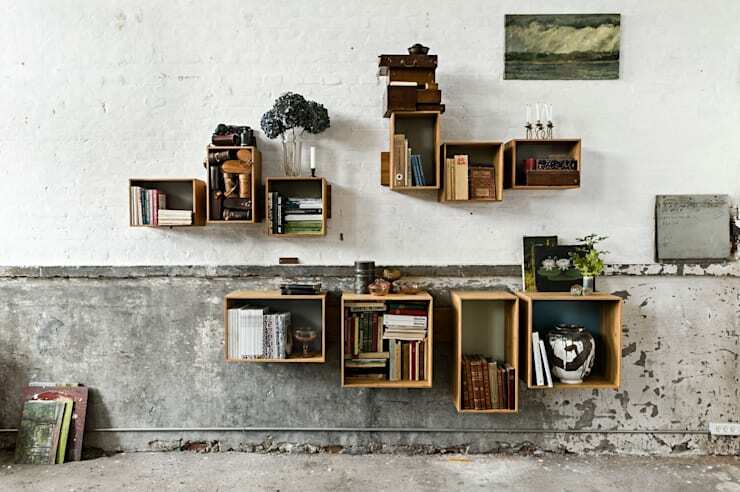 Ordinarily, we’d think of something like a bookcase as a necessary item for our living quarters or bedrooms, a place to house our books and other loose bits and pieces. However, a bookcase can become so much more with a little imagination and creativity: here, we see how upcycled crates and wooden boxes can be set up in an artful wall array, turning an otherwise perfunctory furnishing into an impressive, decorative point of interest and a fabulous design interior statement too. To be filed under the ‘less is more’ approach to interior design, a well-selected and discerning choice of lighting can make for a fabulous decorative addition to any home interior space. 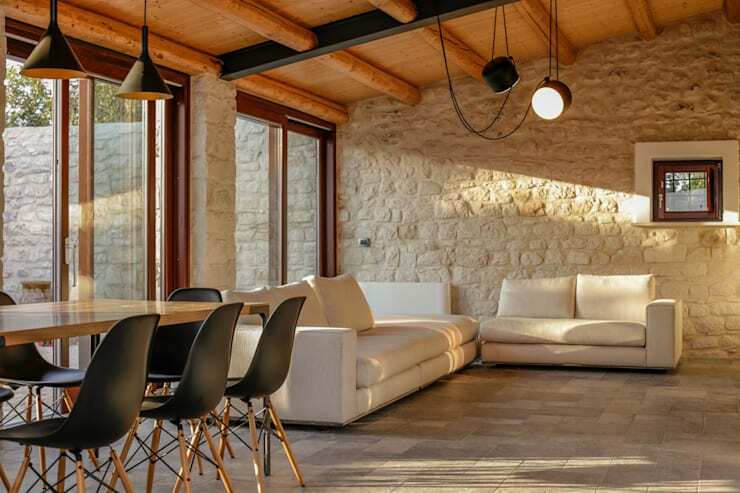 Here, we see a well-designed, minimalist rustic domestic interior that thrives under the illumination of this duel-faced, feature antique light. When working with more plain settings such as these, something like this is all that’s needed to strike the balance and give the space a little extra decorative personality. Speaking of feature lighting, did you ever consider a little neon to give your space a bright spark of radiance and excitement? Typically associated with casinos, nightspots and fancy eateries, neon lights have become a popular addition to the domestic realm in recent years, and work particular well inside modern apartment setups. 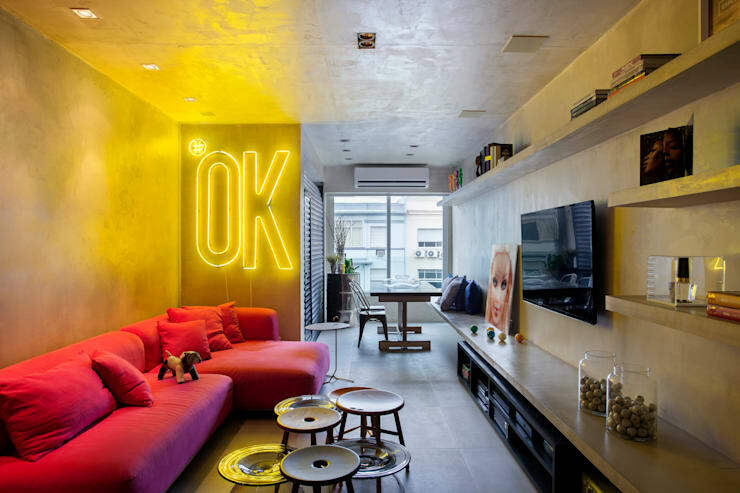 Here, everything is more than ‘a-ok’ thanks to the decorative inclusion of this neat, canary yellow, neon wall fixture. Another case in point for when a light is so much more than a light. Sometimes, though, all you need to give your home a little extra decorative panache is by employing a few tried and true methods. Look no further than the humble household mirror to induce a sense of illumination, depth and interest in your living spaces. Did you enjoy that Ideabook? Why not keep the ideas flowing with a look at Quirky decoration designs? Do you have any other handy decorative tips for our readers? We’d love to hear from you in the comments section below!